There's a common opinion that Warborn builds outperform Markovian nowadays. Today's build is made to prove that Markovian deserves some love and attention even in AoM era. Besides, I wished to make something special for my first S&B character ever. I bet no one expected this punch from good old Markovian. It's a classic S&B Witchblade using Cadence and Blitz as the main sources of damage. Clears Crucible in 12 minutes. Surprising performance for shield-wielding character. Main damage skills of this build are Cadence and Blitz. 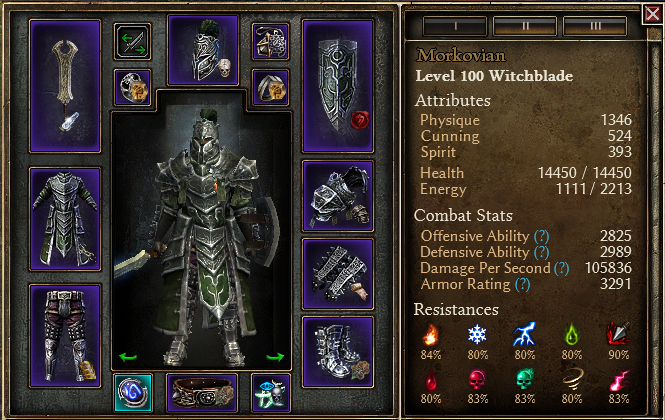 Core items for this build are Beronath, Reforged and Markovian's Bastion set. This build stacks many sources of flat physical, elemental and chaos damage to overcome low offensive potential of one-handed weapon. All these damage types are converted to physical using Beronath, Reforged. As a side effect this build has huge load of internal trauma, so you can expect ~120k trauma ticks in Crucible. Build's defenses include big HP pool (~21k in Crucible), huge armor, shield, Overguard, Stone Form, Bloodthirster and Will of Menhir. Mythical Mark of the Dreadblade is better damage-wise than Markovian's medal or Blood Sigil of Chthon. I think +2 to Cadence makes that difference. Haunted Steel is needed because we don't have Ghoul (again). Damage loss from converting 10% physical damage to Vitality is ~400 of ~13k = 2-3%, but increase in survivability is much more. Rotating Bloodthirster, Overguard and Stone Form makes this build a true tank. Targo's Hammer deals good amount of damage, don't underestimate it. It's been a while since I facerolled Anasteria and Theodin with such comfort. Aleks meteors are not dangerous too, but keep an eye for them. Almost all combinations of nemeses are facerolled. Low damage output from 1H weapon and low ADCtH, however, make sick combos of nemeses hard to outheal from. If you encounter double Reapers, kite a bit and watch your HP. * It is named Carrot because "Markovian" sounds close to "Carrot" when you say it in ukrainian or russian. Last edited by veretragna; 01-14-2019 at 07:12 AM. I prefer Seal of Blades but Haunted Steel is better. I made some calculations: damage loss is ~2-3%. 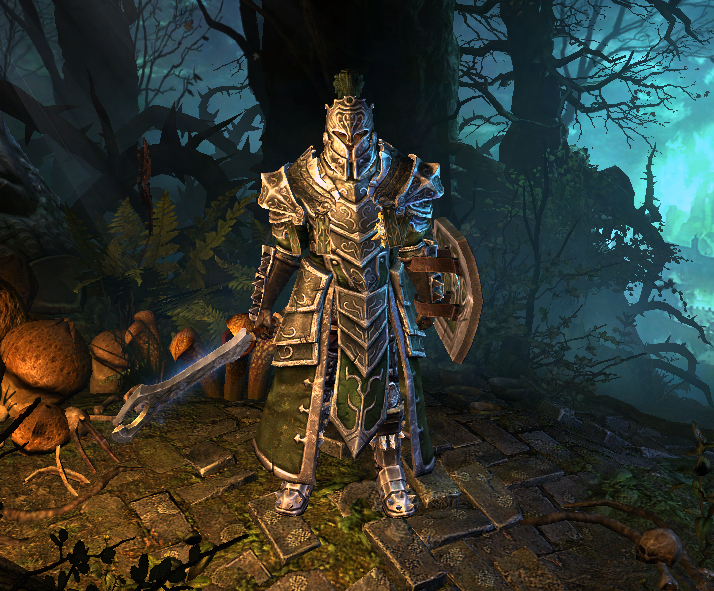 After all, huge chunk of flat phys comes from conversions not affected by Haunted Steel. 12 mins is slow for some shield builds but hey, warborn mace should be faster. Jokes aside, Warborn Gavel gives the same weapon damage in result (near 21k) but have lower attack speed and no crit damage. However, Warborn Gavel can be used to hardcap Cadence. Matter of taste.